Order Again will have his spring claims put under the microscope at the Sunshine Coast. In-form jockey Larry Cassidy will have plenty of knowledge of his main rivals when he rides spring carnival-bound Order Again at the Sunshine Coast. Only seven horses accepted for the Bob Jane T Mart Maroochydore Handicao (1600m) but it is a field packed with well-performed or promising horses. Order Again’s main dangers appear to be the Steve Tregea-trained pair Bergerac and Prioritise. Cassidy has won on both horses and was aboard Prioritise when he won last Saturday. Cassidy has ridden 2700 winners in his career including six in the past three weeks and says Order Again is one of the most promising. Order Again was being earmarked as a Group One horse when he won the 2016 Grand Prix Stakes at Eagle Farm. But his career has been stalled by feet problems, restricting him to three runs since the Grand Prix. 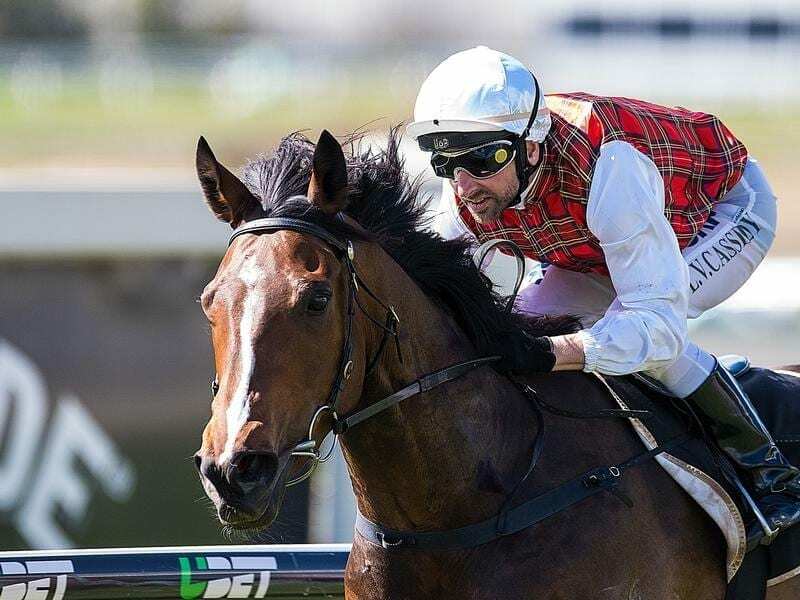 Trainer Brian Smith has done a great job to get Order Again back to racing and the gelding rewarded him with a blistering win over 1350m at Doomben three weeks ago. Smith said all going well, Order Again would head to Sydney for the Kingston Town Stakes on September 15. “In the long-term I don’t know if he will be a stayer or sprinter miler,” he said. Cassidy has ridden Order Again in all four of his wins. “He is s very good horse and Brian and his staff have done a wonderful job with him,” Cassidy said. Bergerac, a recent Randwick winner, was a fighting second to Caulfield Cup hopeful Divine Unicorn at the Sunshine Coast last Saturday. “He was far from disgraced last week and the added distance should help,” Tregea said. Clayton Gallagher retains the ride on Bergerac and his 3kg claim means he will get 5.5kg off Order Again. Prioritise will back up provided Tregea is happy with him and apprentice Michael Murphy will ride.